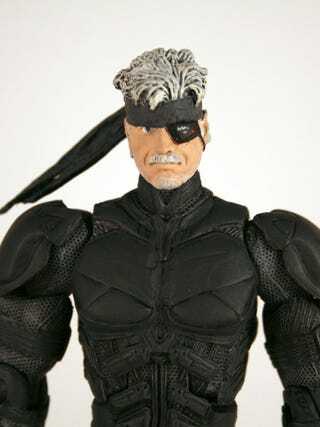 Reader Tony writes it to show off this Metal Gear Solid 4 Old Snake action figure he made by heavily customizing a Dark Knight movie Batman figure. Pretty cool, though it does look a little Thunderbirds are Go! to me. More shots on the jump.